Throughout her entire time, Ngo Ngoc Bach Khoa got used to the lifestyle and pace of learning in Ireland. In Cork Institute, each lesson lasts only 45 minute and uses impressive teaching methods. Similar to the environment at DUE, teachers at CIT usually organize activities such as teamwork to create space for students toapply knowledge into practice. In addition, the environment between teachers and students is very open and comfortable, allowing for inspiring discussions. Teachers pose problems for students in a manner that stimulates their creativity and thus, students can discover many new unique solutions. The city of Cork has become so familiar with Khoa. She shares a room with one French and two Spanish friends. In spite of differences in languages and cultures, it is interesting that outside the class, they can talk about the culture of each country. The common language for the courses is English, but nevertheless they can teach others their native languages. Khoa felt extremely excited to be able to grasp a few new words to know "more languages," andcan greet her international friends in both French and Spanish. The daily routines also go into orbit, as Khoa begins to adapt to the weather in Cork. She exercises regularly every morning to improve her health sincegood health is an important factor for effective learning. Having overcome the initial difficulties when living in a strange environment, Khoa is more confident and ready for the more exciting experiences. She hopes to createmore beautiful memories in the gorgeous Cork city and to learn more useful things for herself. 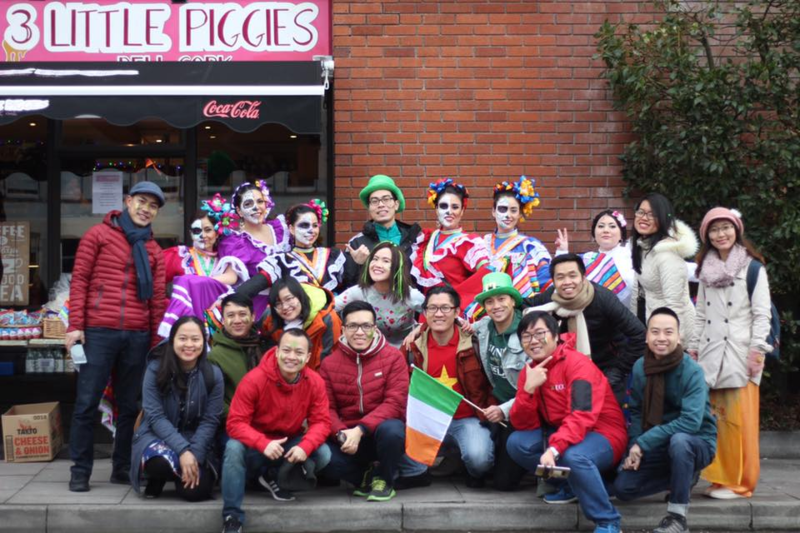 Ngo Ngoc Bach Khoa is a DUE student who has traveled to Ireland as an exchanged student between University of Economics - University of Danang and the Cork Institute of Technology within the framework of the Erasmus + project. Through the feeling and experience of our students, the country of Ireland will be closer to many students of the University of Economics. Likewise, such study abroad opportunities like these enable DUE students to broaden and diversify their perspectives about the world.